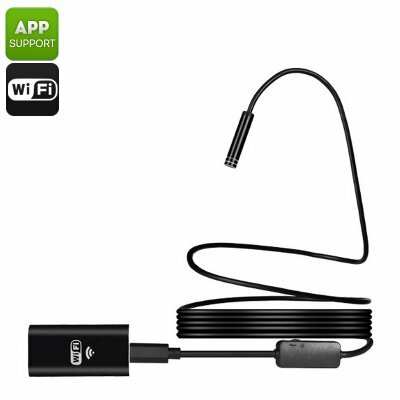 Successfully Added 3M Wireless Endoscope - IP67, 6 LED Lights, 720p, 30 Meter WiFi Range, iOS Android + Windows Support, 600mAh to your Shopping Cart. Measuring merely 8mm in diameter, this ultra-thin HD endoscope is capable of effortlessly entering the smallest of spaces that are unreachable for the human eye or regular cameras. Coming with 6 LED lights that feature an adjustable brightness, this endoscope camera provides you with highly detailed footage even when used in the darkest of environments. Additionally, it features an IP67 waterproof design, making it resistant against shocks, water, and dust. Thanks to its tough yet compact design, this WiFi endoscope is the perfect electronic gadget for construction workers, technicians, mechanics, plumbers, engineers, and for countless other people that often find themselves working in tight environments. Providing you with a 70 degree viewing angle, this HD endoscope spoils you with a great overview of all that’s going on in those tight places. Additionally, its camera produces clear 720p HD footage that can be watched straight on your smartphone or tablet PC. Being compatible with both Android and iOS mobile phones – this smartphone endoscope can be used efficiently with the majority of mobile devices out there. 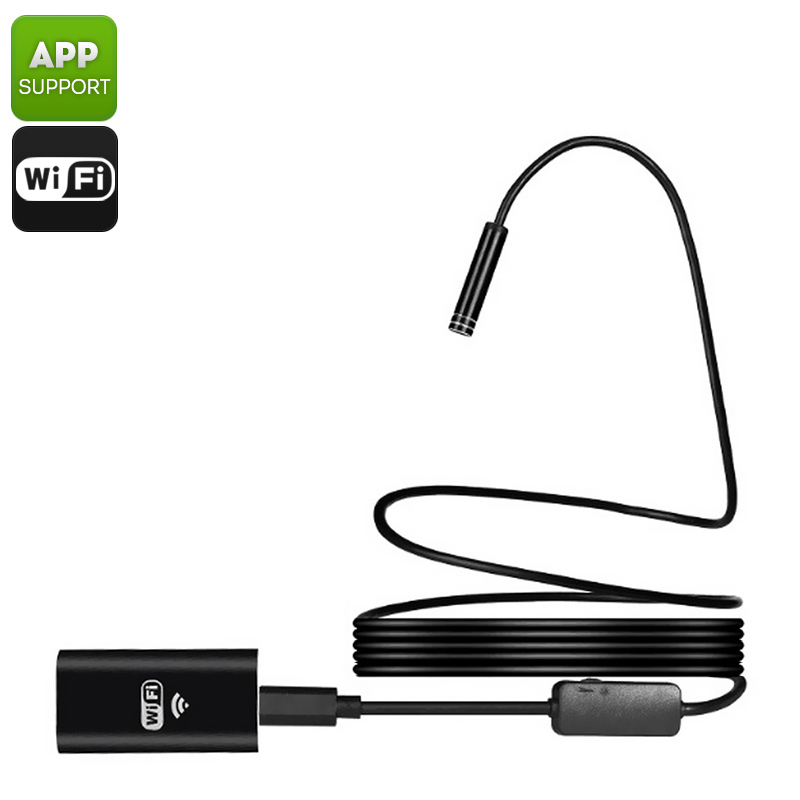 Featuring a WiFi transmission range up to 30 meters and coming with a powerful 600mAh battery, this WiFi endoscope can be used anywhere you’re at for up to 45 minutes. What makes this cool electronic gadget even more useful is the fact that it comes with a little iron hook and magnetic extension tip. With these two accessories at hand, you’ll be able to easily pick up or remove small objects that have accidentally fallen into tight spaces before. With its highly affordable price and abundance of high-end features, this 3M WiFi endoscope offers the ultimate way for workers to simplify their lives without needing to spend hundreds of dollars on the latest hardware. This endoscope comes with a 12 months warranty, brought to you by the leader in electronic devices as well as wholesale endoscopes and electronic gadgets..
Great product happy customer faster shipping this time. Works awesome.